Happy 10th Birthday Wax Museum Records! 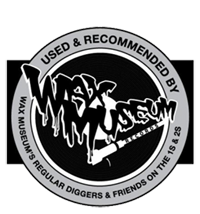 The rad crew at Wax Museum Records have been holding it down for 10 years in the subway under Melbourne’s iconic Flinders Station. Big ups to Tim (Aux One) and his Dad for starting such a gem of a store that supports amazing local artists. Honourable mentions to the rest of the lads, Guy, Benny Badge, Jackson, Michael and Isaac for all their hard work over the years. Head into the store to say congratulations and grab yourself some dope records to impress all your friends. The homie 1/6 is at it again with another dope tune to get your head bobbing and your feet moving.